The all-new Nissan Skyline Crossover makes its foray into the crossover segment with a unique and distinctive design that arrives from a fusion of a coupe with an SUV. The luxury crossover utilizes smooth, soft-to-the-touch and high-quality materials to provide an elegant and personalized interior space. Powered by a VQ37VHR engine with VVEL technology, the powertrain delivers high response and high torque for an exhilirating driving experience. The powertain also offers cleaner emissions and good fuel-efficiency. Powerful, seamless and continuous acceleration is realized by mating the powertrain to a 7-speed automatic transmission with a manual shift mode. Stable handling and supple ride comfort are optimally balanced for a pleasurable drive. 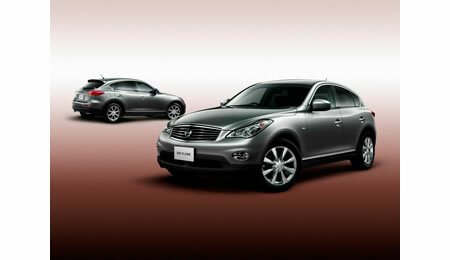 The all-new Nissan Skyline Crossover will be showcased at Nissan Galleries nationwide starting April 18, 2009. JVC VN-V685U - World's first fully functional Power over Ethernet PTZ dome camera.